Recently (on the 10th and 11th Feb 2018), a seminar was organised by The Nelikolu Charitable Trust at Coimbatore. The seminar was called “Nangava Nanga Arivo – Let us know about ourselves”. This is to make a select group of scholars/youngsters to present their views on issues concerned/connected with Badaga, both the people and language. This topic is most appropriate and needed focussed attention. We Badagas stand at the cross roads, at a crucial time in history. Some of the urgent issues that we face today, if not corrected now, will result in reducing us to history. 2. 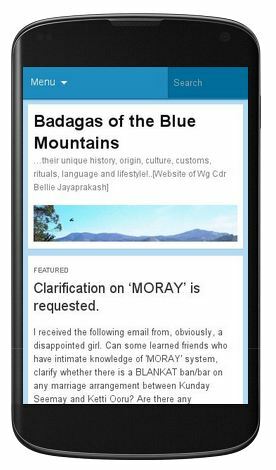 What is Badaga origin? The myth, mystery and mistakes of migration from Mysore theory. 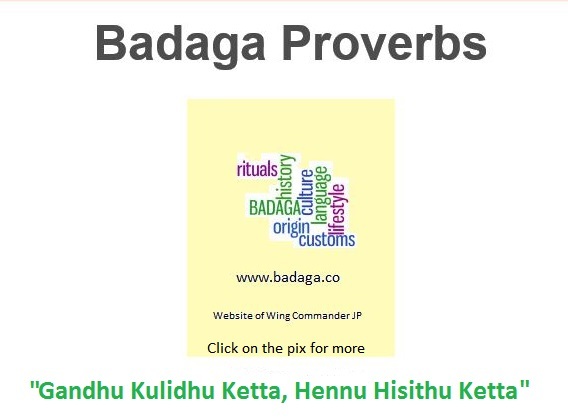 The decline of the purity of Badaga language due to inadequate knowledge of the present generation. The systematic omission of HA sound from the language and its impact. The influence of Tamil and English on Badaga in the day to day conversations. Is the Moray system playing a major role in the large number of marriages breaking up? Is it time to change the fundamentals? The originality of our music and dance is lost in the present day blind copying of cinema ‘koothattam’ dances. Are we cutting short the important traditions/rituals like funerals due to paucity of time? 1. Few badaga community people had mislead Britishers, researchers and anthropologists regarding the unverified social hierarchy in the community. Clans were divided based on the activity which prevails in any social structure in India. As we all aware, the dynamics of majority Vs minority do exist among the Badaga clans and one plays against the other. We have clans- Adhikari, Haruva, Thoreya, Lingayat, Kanakka, Wodeya, etc. In many researches, it has been recorded Badaga Toreya as low caste in the social hierarchy which is not. Britishers nor western historians did not verify the fact and went with hear say from the majority clan. The fact that Toreya do perform poojas in temples and are as good as other clans. In Kadanad, Toreya clan have a separate Bukka structure and Devvu Mane walls share with Devvu Mane of other clan. Please note minority clan has one house Vs 249 houses of majority clan. Point is we all are one. Of late, we are witnessing hatred towards Toreya clan in web site, you tube, etc who are just 5000-6000 in population. Request all to refrain from doing so. Hope this is an anomaly and corrected soon. 2. We have a very good system of verbal history passed on from time immemorial. What is the need of the research? When all our traditions and culture are only passed on verbally, why is that history is researched? Don’t we believe in our ancestors? Is there is need to prove one clan is better than other by so called research. Request all to involve people from all clans, all nakkubetta regions in any discussions. Educated youngsters have digital access easily and populate wrong information on websites, blogs, etc.